Virgin Racing launched today in West London with Sir Richard Branson promising "to be a winner in the end" in Formula 1. It was a confident launch; the business package around the team seems strong and the team structure is interesting. To succeed it will require the various components to work together despite cultural and geographical differences. The design side is under Nick Wirth in Oxford and the race team management under Manor's John Booth in Sheffield. The chairman is the vastly experienced Etienne de Villiers, formerly of Disney and ITV. He has been put in place by the venture capital arm of Lloyds, LDC, which has taken a stake in the team of around 20%. The commercial department is run by Virgin themselves out of their Hammersmith offices, headed by former Williams commercial director Jim Wright and they have assembled an array of sponsors for the first season. 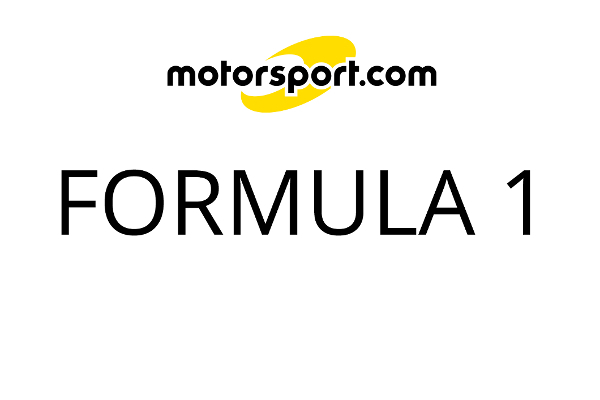 Team principal Alex Tai said that the 10 commercial partners between them would cover the £40 million budget they had set themselves for the year, "so we are fully funded" he said. One of them has been in F1 before; FX Pro, a large foreign exchange company which was a sponsor of BMW Sauber. Others are new to the sport, like Carbon Green, a sustainable recycling company and Marussia, a Russian car company which is making a supercar it plans to market through F1. 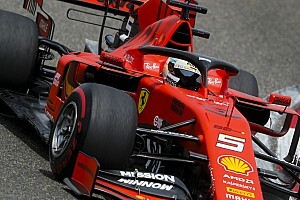 Virgin has the naming rights to the team, so they will get the brand value and name recognition from the cars on the track, but they are not putting any money in. They are putting their brand in and the sponsors are partnering with them so they can access Virgin's 100 million customers world wide and use the various Virgin channels to create brand awareness, or to make business to business sales. At least half the audience at the launch today was business people and the business case for this team seems very well thought through. The team has signed the Concorde Agreement and Tai said that Virgin plans on being around in F1 for as long as Ferrari. The key to Branson's involvement in F1 is the resource restriction agreement, which makes it possible for him to put a team like this together and operate for £40 million, which would have been hopelessly uncompetitive until recently. Branson also made it clear that he is very keen to attract women drivers into the sport and said that the team would be launching an accessible young driver programme aimed at attracting children from families without significant resources. It all sounds quite idealistic, but Branson said he was in the business of making the impossible possible. 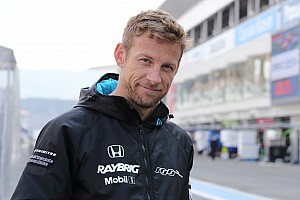 He also believes that it will be possible to make money in the new era of F1, "rather than pour it away." Technically the car has passed all the crash tests, including a tough new one for the non-refuelling era which requires a 40g impact when the tanks are full of water to ensure that there is no burst. Wirth has designed this car entirely using CFD. As he put it, he got sick of looking at 160 people being employed to build and test models in wind tunnels and then throwing away $60,000 worth of carbon models each week. He's created a quite a pressure for himself and it will be embarrassing if the car lags behind on aerodynamic performance, but his experience in the USA where his Acura LMP was successful using this CFD strategy gives him confidence. The team has an aggressive development programme which will see performance being brought to the car at every race. Wirth is very happy with the Cosworth performance and reckons they have fixed their fuel consumption issues. Branson again is setting great store by "backing a talented engineer", as he did when he announced his Brawn sponsorship deal at the start of the 2009 season. They clearly believe in Wirth and they like the fact that he's differentiated himself by dispensing with wind tunnels. Although there were no images to be seen today, the car will have a red and black livery, according to Tai. Timo Glock was already known to be the lead driver and his team mate, as expected, is Lucas di Grassi, with whom Manor won the Macau GP in 2005. Wirth wanted a driver with F1 experience in one of the cars and is delighted to have landed Glock, who has proved over two seasons in an erratic Toyota car that he has pace and can delivers strong results. Di Grassi is one of those drivers who is perhaps a tenth or two off being special but who has consistency and staying power and will always be around at the finish line. He was highly regarded by Renault engineers, some of whom Wirth has recruited to his new team, like former test team chief engineer Christian Silk.